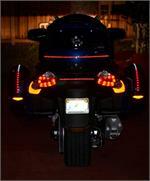 Includes both Running and Brakes dual functioning LED's. 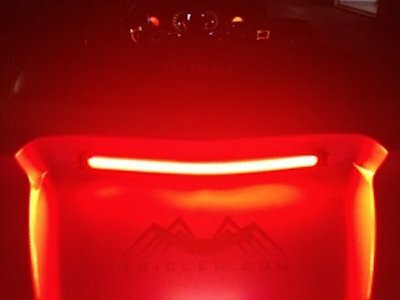 The brightest brake LED’s you will find on the back of an RT! 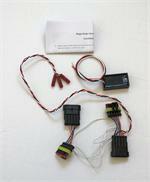 Kit comes complete with factory style OEM harness and all brake circuitry. LED Bar must be wired per instructions with harness provided. LED Bar must be on it's own harness. Failure to not connect the LED Bar to the Resistor Box and provided harness will cause the LED’s to burn out, which will void your warranty. Mounted on the top ridge where it slopes downward of your trunk lid. Designed to be installed on the lower part of the ridge, but can be installed on the upper part also if you have other accessories mounted on your lid. We suggest deciding if you want a rack or other trim pieces on your lid and installing them first. You can then install this next in the appropriate position for your application. We installed ours in the upper position due to the Custom World Case Trim that is installed. The LED's really light up the Case Trim. Harness will PLUG into the factory harness and make the connections. Torx Screwdriver needed for installation. . Instructions are included. Cable will drop down behind your right hinge and behind panel to your Right Rear Light. 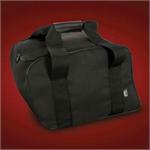 We also suggest removing the Passenger Back Seat Rest (3 bolts) and upper Seat Trim Piece for easier access.